April 14th in Wordpress Plugins by Wordpress Jedi . WooCommerce is a wonderful plugin that turns your WordPress site into an online store for physical and digital products. The best part is you can download additional extensions to get things done faster. 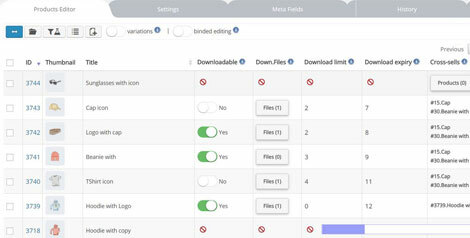 Take WOOBE for instance: it is a commercial bulk editor that lets you make changes to your WooCommerce store fast. This plugin lets you edit attributes, categories, tags, custom taxonomies, and other fields. 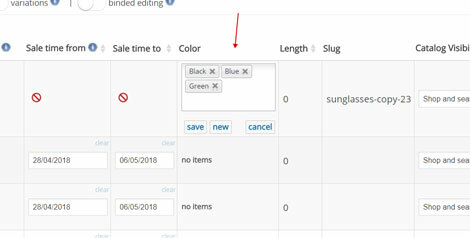 Users will be able to edit several products with one click. If they make a mistake, they can easily roll it back. WOOBE is AJAXified, so changes happen smoothly. This plugin lets you perform advanced operations, change prices, filter, and export products fast. It is a commercial plugin by an Elite Author.